Perillo Travel VR is a virtual reality & 360 video sales/marketing/production company. We specialize in the rapidly growing role of virtual reality in marketing to promote and sell the travel experience. 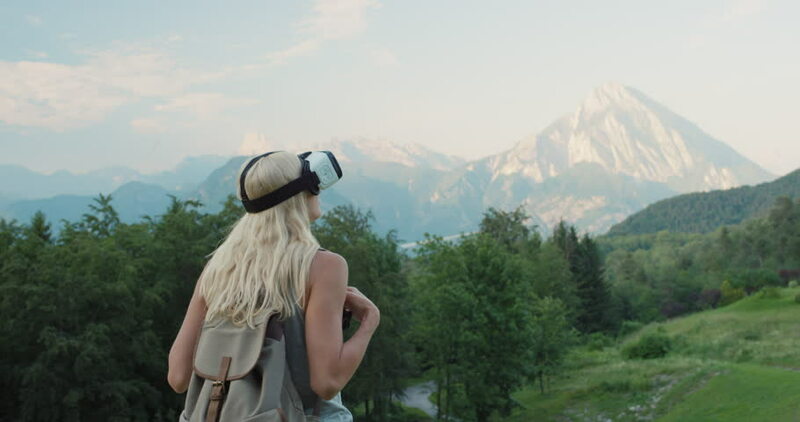 Perillo Travel VR combines the power of world-renowned Perillo Tours with an award-winning production studio to drive measurable results for clients across mobile, desktop, and VR. With 73 years of innovative travel marketing expertise, Perillo Travel VR is the only VR company in the travel space run by successful travel industry executives who know what travel suppliers need to effectively market travel. creating a perfect way to promote destinations and inspire people to travel more. Virtual Reality provides authentic brand experiences that increase awareness, conversions, direct bookings and physical visits. Instead of reading a review or downloading a PDF brochure, users can now experience any destination with beautiful 360° video experiences and immersive audio. Users wearing a headset are completely immersed in the content meaning fewer distractions and more attention on the message. The intensity of a VR experience is greater than traditional media generating strong emotions in its users which are linked to real behaviour change. Our brains are built to remember events linked to locations, this means that VR experiences have a longer trace in the audience’s memory. With high media and public interest in VR early adopters can benefit from favourable media exposure. We capture immersive high resolution 360° Video content with viral potential for YouTube, Facebook and other popular video platforms. As specialists in cinematic VR production, we create stories with spherical videos and photos for users of Oculus, Samsung Gear VR and other popular Virtual Reality headsets. We use image recognition technology to bring your product and brand to life. By overlaying information via smartphones onto a live picture of a physical environment, Perillo Travel VR enhances real-life environments to make them interactive and informative. We create mobile and VR ready custom virtual tours with high quality 360° panoramic photographs, integration with Google Street View and design to suit your brand. Our visual artists are experts in the latest technologies to create gorgeous, immersive 360 videos and renderings. Perillo Travel VR deliverables work in VR, 360 video players, via smartphone and the web. GearVR, Cardboard, Oculus Rift, Vive: whether you're looking to get up and running quickly with a pilot or want a fully bespoke experience, we build custom VR apps for every brief. From YouTube to Facebook, Twitter, Samsung VR and Oculus there are dozens of platforms to upload your content. We can help you maximize your effort and reach the biggest audiences, with tips on what drives more traffic and clicks to your content. Custom branded Google Cardboard viewers can be the perfect take-away after demoing your VR video content at trade shows and conferences, and work with a variety of smartphone devices. We can help you design and print quality viewers in bulk through our amazing partners. We can help you determine the right course of action for activations at events and trade shows. From the right hardware to the right applications to display your VR content, we can help your marketing team deliver a memorable and exciting experience for your customers.